Rest in peace our good friend and member Retired Senior Sergeant Douglas “Doug” EDDY. He passed away yesterday the 19th March 2016. A State wide Vale Notice has been issued by the State Secretary Peter RANKIN. His funeral is to be held on Wednesday 23rd March 2016, at 1.3opm at Traditional Funerals 636 Morayfield Road, BURPENGARY Qld. 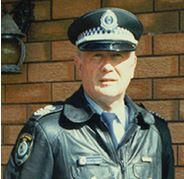 There will be involvement by the Brisbane & Northern Suburbs Branch RETIRED POLICE ASSOCIATION OF NSW. A good man gone too soon. He was the Branch Treasurer for 11 years from the start of the branch on 5th March 2005. It is expected there will be a strong show of support from Retired Police and his friends from Queensland and New South Wales.